It’s a crucial question for cat owners – but there’s not always an easy answer. 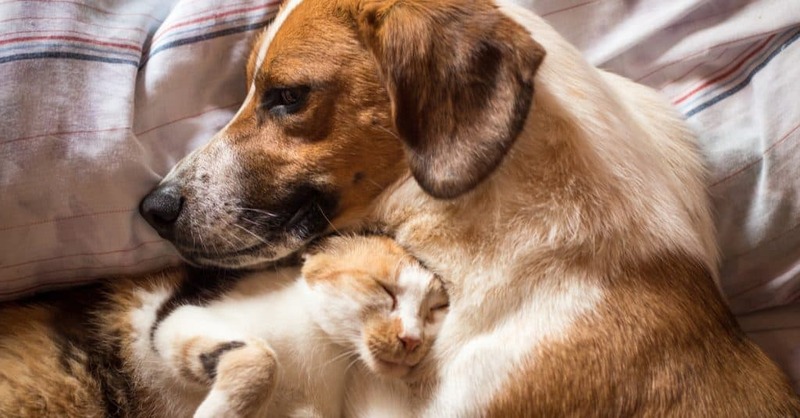 Dogs and cats can make brilliant companions, but some dogs simply can’t live with a feline friend. Assessing dogs for cat friendliness is also a time-consuming task for shelters already operating at maximum capacity. With that said, many shelters do some form of cat testing. Here’s an overview of three methods they might use. While adopting a dog is a wonderful thing to do, it’s vital he or she is a good fit for your lifestyle. Aside from cat-friendliness, the shelter should advise you on the dog’s suitability for homes with children and other dogs. 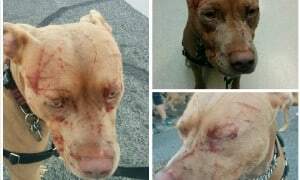 You should also ask how the shelter came to these conclusions about the dog. 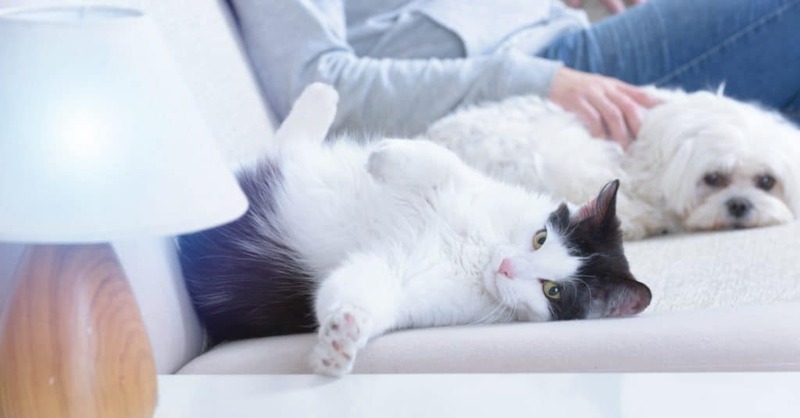 A cat-friendliness assessment is more reliable than just asking about the dog’s history, for example, so the method matters. Also, keep in mind that all canine assessments, including cat-friendliness, are guidelines only. You should still be very careful when introducing a dog to your cat. Take things slowly and watch for signs of stress or aggression. The easiest way for a shelter to assess a dog’s friendliness towards cats is asking the previous owner. 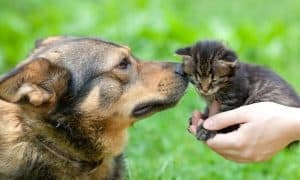 This isn’t always possible, as many shelter dogs are strays or have unknown backgrounds, but it can give an insight into how the animal reacts to cats. If a dog has previously lived with a cat without issues, this is a sign it could at least be considered for a similar home in the future. If the dog has a history of chasing cats down the street at first sight, any further assessments may not be necessary. The downside to this method is that it relies on the previous owner’s honesty and accuracy. Many people want to give the best impression of their dog when they give it up for adoption, as they feel guilty and want it to be rehomed faster. For this reason, a history is only a starting point when assessing cat-friendliness. While there are lots of assessments for canine behavior, there isn’t a widely used cat assessment – at least with the same methodical rigor as other types. A lack of proper testing means some shelters don’t do any cat assessment for their dogs. Others use more informal tests (more on those in a moment). Sadly, this means dogs who would happily live with a cat sometimes miss out on potential homes. 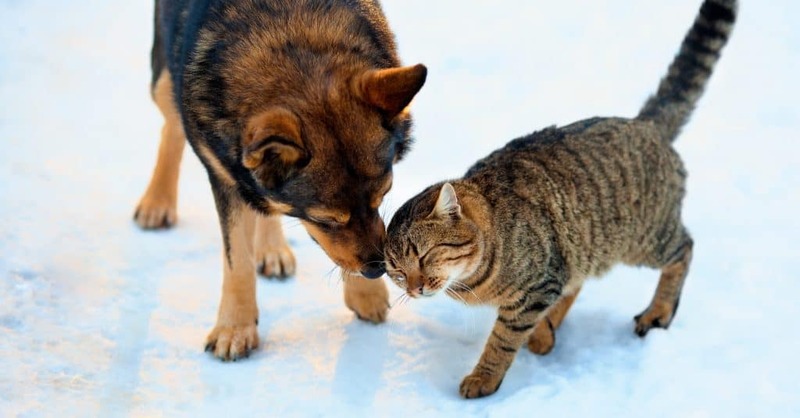 That’s why research into how dogs respond to “artificial” cats has gained attention recently. Researchers used a combination of video, audio, smells and a robotic cat to test how dogs reacted to these stimuli. The idea was to check for cat-friendliness without causing stress or danger to an actual cat. These techniques aren’t used by many shelters yet, as the research is new. 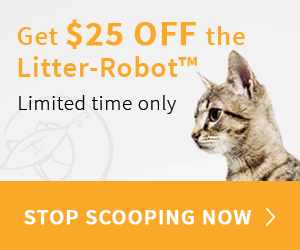 But they could become an important part of assessing for cat-friendliness in the future. Despite the lack of a widely used feline test, many shelters still assess their dogs using more informal methods. Allowing a dog on a leash to see a cat in the distance. Walking the dog on a leash past a cat. Allowing a dog on a leash to see a cat in the same room. Holding the cat while approaching the dog on a leash. Letting the cat explore a room while the dog is on a leash. Letting the cat and dog explore a room together. 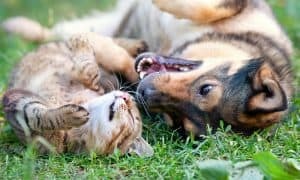 If the dog shows signs of aggression or distress at any stage, the shelter may decide he’s not suitable for living with a cat. If he’s curious or simply not interested in the cat, the assessment moves to the next stage. These tests wouldn’t pass as part of a scientific study. But they can be useful for assessing whether a dog has a chance of being feline-friendly – or if rehoming to a family with a cat is a no-go. A downside to this type of testing is that it can be unpleasant for the cat! This is why some shelters choose not to do tolerance testing and rely on case histories and artificial tests. Others use residential cats that are proven to be calm around dogs. Dog shelters rehome a variety of dog breeds, including both pure and mixed breeds. While there is a tendency for some breeds to be more tolerant of cats – often because they have less instinct for chasing small prey – breed is not a reliable indicator of cat-friendliness. Good shelters test every dog as an individual, as the animal’s history and personality have a bigger impact than breed. Assessing a dog for cat-friendliness isn’t always easy. Many shelter dogs are strays, so there’s no prior history about how he or she interacts with cats. There’s also a lack of robust and repeatable tests for cat friendliness. With that said, many shelters do an excellent job of assessing their dogs for homes with cats. Most shelters use a combination of case history and tolerance tests, but advanced tests that don’t involve real cats are likely to become common in the future. Richard Cross is a dog expert and editor of The Dog Clinic, a website dedicated to helping people build stronger bonds with their canine companions. When he’s not writing about dogs, he enjoys hiking the local countryside.